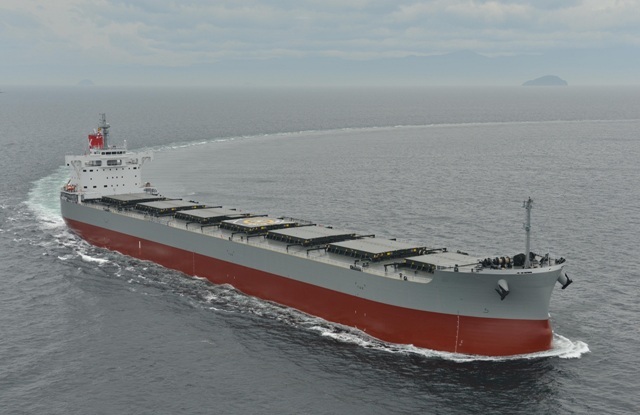 Kawasaki Kisen Kaisha, Ltd., Tokyo, (K-Line) announced earlier today the delivery of Corona Wisdom, an 88,000 DWT-type special coal carrier at Shin Kasado Dockyard Co.,Ltd. of Imabari Shipbuilding Group Japan on 19h Jan, 2018. Corona Wisdom is the same type as K-Line’s specialized fleet for transport of thermal coal known as the “Corona-series”. The Corona-series consists of epoch-making coal carriers equipped with wide beam and shallow draft, which are the most suitable type to enter ports of domestic Thermal Power Stations to discharge cargo. With this new latest deployment, the Corona-series now consists of 19 carriers. K-Line takes pride that its Corona-series has been so favorably evaluated for always ensuring customers steady and reliable thermal coal transport service with maximum safety.